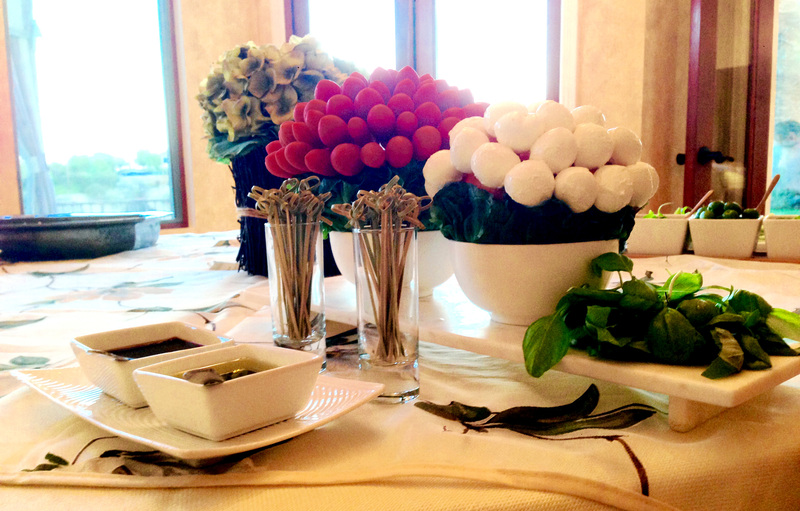 There are fewer combinations better than fresh mozzarella, ripe tomatoes & garden-picked basil. Topped off with a thick, tangy balsamic vinaigrette—caprese salad rarely ever disappoints. Choose to pre-make you kabobs for guests, or consider a Do It Yourself (DIY) station where guests may put their own kabobs together—either way it is sure to be a popular choice with your loved ones. 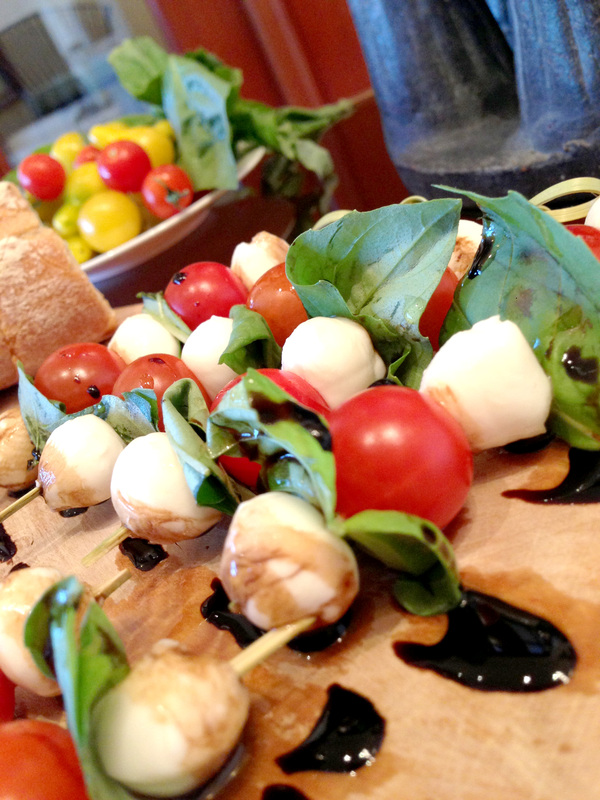 On each wooden skewer, alternately thread two tomatoes, two cheese balls, and two basil leaves. Add oil and vinegar together in a mason jar. Shake the jar well for about 30 seconds. Drizzle vinaigrette over kabobs immediately prior to serving & top off with a sprinkle of sea salt. Take each grapefruit and wrap them with the lettuce. Place each dressed grapefruit in a separate bowl. Place 20 half-skewers on one grapefruit (for the mozzarella) and 40 half-skewers on the other (for the tomato). Arrange these skewers in circular layers. 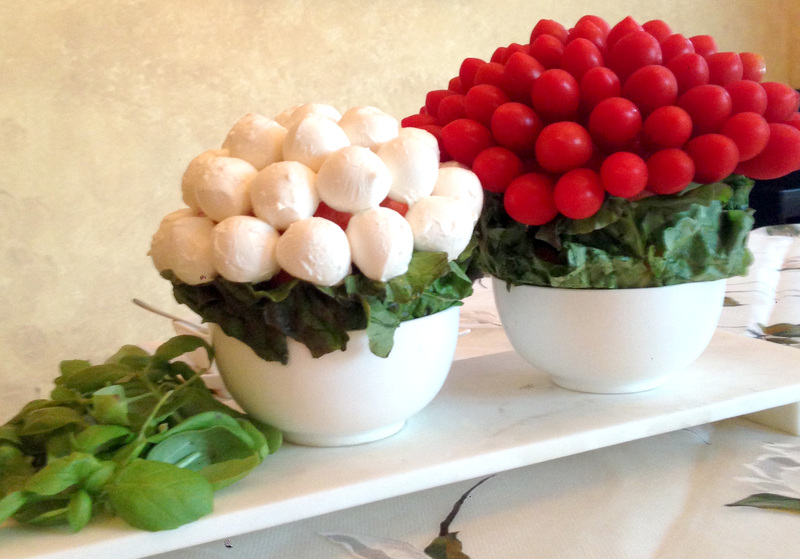 Plop the mozzarella balls on the dressed grapefruit with 20 half-skewers, and the tomatoes on the one with the 40 skewers. Add oil and vinegar together in a mason jar. Shake the jar well for about 30 seconds and place in a bowl.